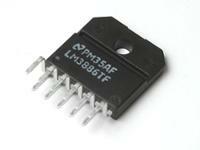 The LM3886 is a high-performance audio power amplifier capable of delivering 68W of continuous average power to a 4? load and 38W into 8? with 0.1% THD+N from 20Hz–20kHz.This TF version comes in full plastic package, allowing to mount on heatsinks without any insulation.